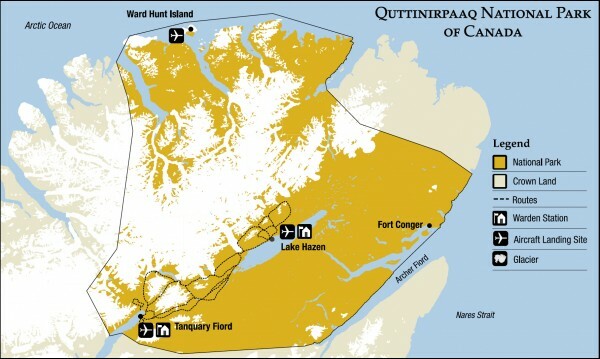 Official Parks Canada map of Quttinirpaaq National Park. 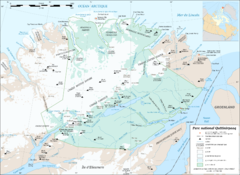 From Parks Canada website: "Far to the north, in the highest reaches of Ellesmere Island, lies Quttinirpaaq National Park of Canada. A mere 720 km from the north pole, this is the most northerly protected area in Canada. 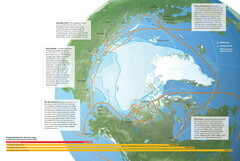 Established as Ellesmere Island National Park Reserve in 1988, Quttinirpaaq became a national park in 2001. 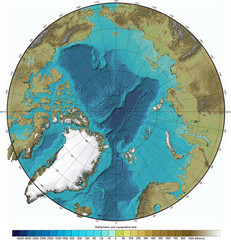 Quttinirpaaq National Park represents the Eastern High Arctic Glacier natural region. 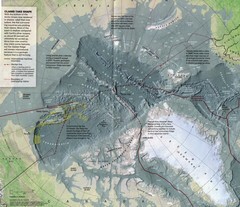 Much of the park's 37,775 km2 is mountainous and glaciated, with ice caps up to 900 metres thick. Relief from this harsh polar desert environment can be found at Lake Hazen, where a relatively lush ecosystem is tucked within a valley of south-facing mountains. One hundred and fifty species of plants, 192 species of moss, and 44 species of lichen nestle in this tundra oasis, along with a rich diversity of arctic wildlife."